As a coffee aficionado I’m often asked by friends and family to disclose my secret formula for brewing consistently great coffee at home. Although I can understand the question, I sometimes can’t help but laugh at because there really aren’t many secrets when it comes to brewing great coffee. It’s really all about consistency, which is something that many home coffee brewers struggle with. By consistency I’m referring to using the proper grind and the proper ratio of brew water to coffee grounds. If any of these 3 elements are off, there will likely be a subsequent drop in the quality of the coffee. Because it’s hard to ensure that these elements remain in balance, the easiest thing to do is to select a machine that makes the decisions for you. In my opinion, there is no better coffee machine than a Melitta pod coffee maker. Pod coffee machines are the best when it comes to consistency because they automatically control the 3 factors for brewing great coffee, thereby taking away control from the user. 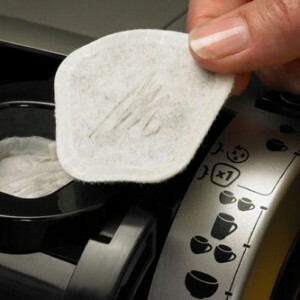 What this means is that the user is able to enjoy great tasting coffee with each and every cup. Yes, that’s right – there are no bad cups when using a pod coffee maker. While there are a number of different brands to choose from when it comes to purchasing a pod machine, Melitta remains a top pick for a variety of reasons. First, Melitta was a pioneer in the coffee pod movement, which means that they have years of experience behind them that has resulted in a series of high quality machines. Second, Melitta machines are significantly less expensive than similar machines produced by the competition. Apart from their great performance, the other benefit obtained from using a pod coffee maker is the variety of flavors that exist. Using Melitta coffee pods it’s possible to enjoy a different flavor of coffee every day of the month. Plus, there are even tea and hot chocolate pods available for those times when you want something other than coffee.